Following the Persian Gulf War until the year 2001, Iran launched intermittent air and missile strikes against Iraq, targeting both the People’s Mujahedin of Iran militant group — also known as the MEK, which the Saddam Hussein’s regime hosted in the country — and the Iranian Kurdish opposition group the Kurdistan Democratic Party of Iran that had established itself in Iraqi Kurdistan. Iraq launched its last push into Iran in August 1988, following eight years of bloody warfare between the two countries that ultimately claimed a million lives, combined. Iraqi warplanes supported a convoy of MEK fighters and dropped poison gas bombs. The MEK hoped that by seizing Iranian territory with Iraqi support, it could encourage a rebellion against the regime across Iran. This attempt failed miserably. Iranian troops ambushed and defeated the MEK forces. After the war, both Iran and Iraq suffered major economic crises. Iraq had borrowed billions of dollars from the Gulf states to finance its war. Worse, Kuwait was dumping crude oil on the world market, driving down the price and making it even harder for Iraq to recovery. Iraqi dictator Saddam Hussein subsequently invaded and annexed the tiny sheikdom, a desperate gambit that quickly turned the internationally community against him. A U.S.-led coalition defeated Iraq and liberated Kuwait in the 1991 Gulf War. Hussein was now hemmed in by two no-fly zones extending over the Kurdish north and Shi’ite south of his country. Iraq’s 1.4-million man strong army shrank to fewer than 500,000 men by the end of the war. The Iraqi economy was in worse shambles than when the war with Iran ended, thanks to international sanctions. Iran, which remained neutral in the war, received 80 of Iraq’s warplanes including French-made Mirage F.1 multirole fighters, Soviet-made MiG-29 air superiority fighters, Su-24 bombers and Su-25 attack planes, as well as Iraq’s only domestically-built AWACS radar plane. All these aircraft flew to Iran to evade destruction and were subsequently confiscated by Tehran, which gradually incorporated them into its own air force. 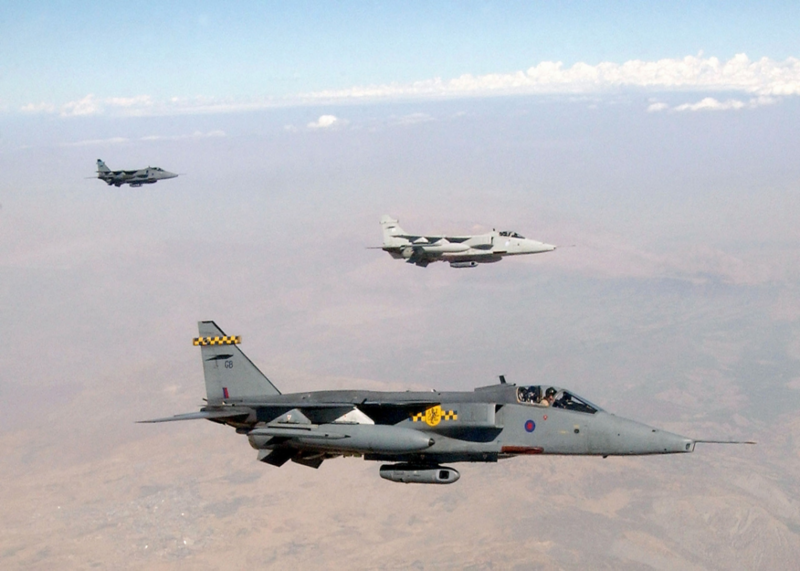 Tehran would later return some of the ex-Iraqi Su-25s to Baghdad in 2014, nearly a decade after Saddam’s ousting, to help Iraq fight Islamic State. But in the 1990s, Iran turned its reinforced air arm against Iraq. “Senior government analysts are not predicting that Tehran and Baghdad are anxious to return to a state of war after waging one of this century’s bloodiest conflicts from 1980 to 1988,” The New York Times reported. Ultimately Iran didn’t directly attack Iraqi forces, But it did target MEK forces inside Iraq — and also attacked the KDP-I’s bases in Iraqi Kurdistan. The MEK frequently launched attacks against Iranian military personnel in the country’s western Kurdish region. Iran’s attacks throughout the 1990s were, for the most part, in response to either Kurdish or MEK attacks against its own forces inside Iran itself. On April 5, 1992, Iran sent eight fighter jets into Iraqi air space to bomb an MEK base near Baghdad. This constituted the first reported Iranian attack on Iraqi soil since the 1988 ceasefire. Baghdad claimed it shot down one of the eight jets and captured both pilots. Iraq scrambled fighters in an attempt to capture the other attacking jets but failed to intercept any of them. The remnants of the Iraqi air force continued to take to the skies in the following days. U.S.-led coalition aircraft patrolling Iraqi air space at this time didn’t interfere with the IrAF’s sorties. A year later on May 26, 1993, Iran again targeted the MEK, in the group’s Ashraf camp northeast of Baghdad, using at least a dozen Iranian F-4 Phantoms, according to the group. Reports from the time indicate that Iran suffered no losses in that attack. Tehran again described its action as “retaliation for recent sabotage raids” against Iran. Most of the Iranian attacks on KDP-I positions in the summer of 1993 consisted of cross-border mortar and artillery attacks against their positions. A short documentary from July 1993 depicted the high frequency of these shellings. In early November 1994, Iran carried out two attacks in the space of a week, one targeting the MEK and the other the KDP-I. The attack targeting the MEK reportedly consisted of three Scud missiles fired at Camp Ashraf. The strike on the KDP-I involved four Iranian warplanes breaching the air space over Iraqi Kurdistan and striking a “residential base” belonging to the group, killing one woman and wounding three fighters. The warplanes hit Koi Sanjaq, a region within the no-fly zone. But the coalition didn’t attempt to intercept the Iranians, likely because the no-fly zone’s purpose was to keep Iraqi aircraft from flying over or attacking that region. “There was no immediate comment from Washington on Iran’s entry into the protected area, which is normally under surveillance of AWACs radar planes,” The New York Times noted. A ceasefire in 1996 saw hostilities between Tehran and the KDP-I largely come to an end, until the latter announced the resumption of their campaign in 2016, and Iranian airstrikes on KDP-I bases in Iraqi Kurdistan cease. The last significant Iranian air raid of the 1990s took place in September 1997. It targeted two MEK strongholds, one near the southern city of Al Kut and the other at Camp Ashraf. Nine warplanes participated. Iraq failed to intercept or shoot down any of the Iranian planes. The MEK claimed that, on three occasions in 1999, Iran struck its bases with Scud missiles. Tehran denied the allegations. On April 18, 2001 Iran launched its last major attack against Iraq, firing between 44 and 77 Scud missiles at the seven MEK bases. The bulk of the missiles hit Camp Habib in the south near the city of Basra, and Camp Anzali in the north also near the border, as well as Camp Ashraf northeast of Baghdad. 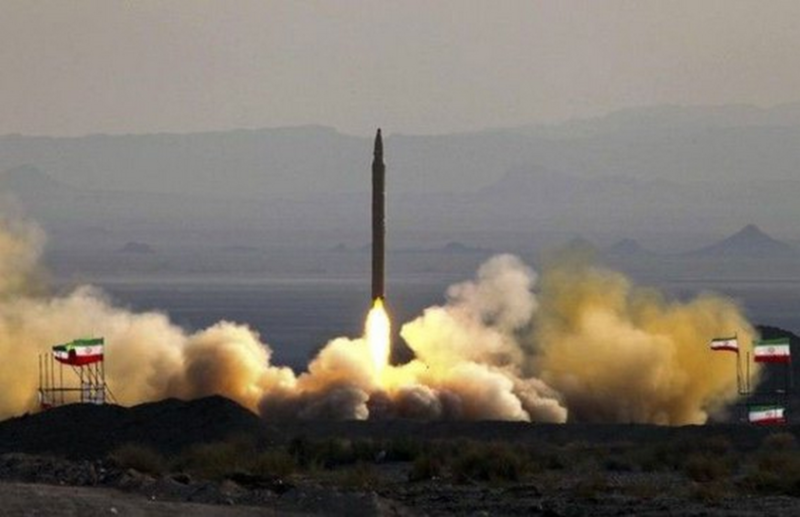 The attack constituted the largest use of Scud missiles by Iran since the Iran-Iraq War. The MEK went so far as to claim that Iran fired more of these missiles into Iraq that day than it did during the entirety of the previous war. The MEK became notorious for assassinating Americans in Iran during the time of the Shah, which is one reason why it earned its place on the U.S. State Department’s list of terrorist groups. When the United States invaded Iraq in early 2003, it didn’t initially know what to do with the group. The MEK promptly surrendered its weapons, likely to avoid a futile confrontation with the Americans. In May 2003 the United States, in a show of force, surrounded one of the group’s bases with tanks while B-52s and helicopters flew overhead. The MEK’s arsenal included a number of British-made Chieftain main battle tanks, likely captured from Iran. The MEK remained in Iraq for over a decade. U.S. Secretary of State Hilary Clinton de-listed the group in September 2012 after it renounced violence. A few years later, under pressure from the government of Nouri Al Maliki, who has close ties with Iran, the MEK left Iraq. Today it enjoys strong support from members of the Trump administration, most notably National Security Advisor John Bolton. Inside Iran itself the group has few supporters, likely because of its former ties to Saddam Hussein. In June 2017, Iran once again fired ballistic missiles beyond its borders — this time at Islamic State forces in the eastern Syrian city of Deir Ez Zor. The barrage was retaliation for an ISIS attack on the Iranian parliament.